The Mystical Dance Teacher Training course covers a vast number of inter-related topics: some elements are very specific to sacred dance traditions and techniques and others fall within the broad category of mystical self-discovery and teaching methodology. 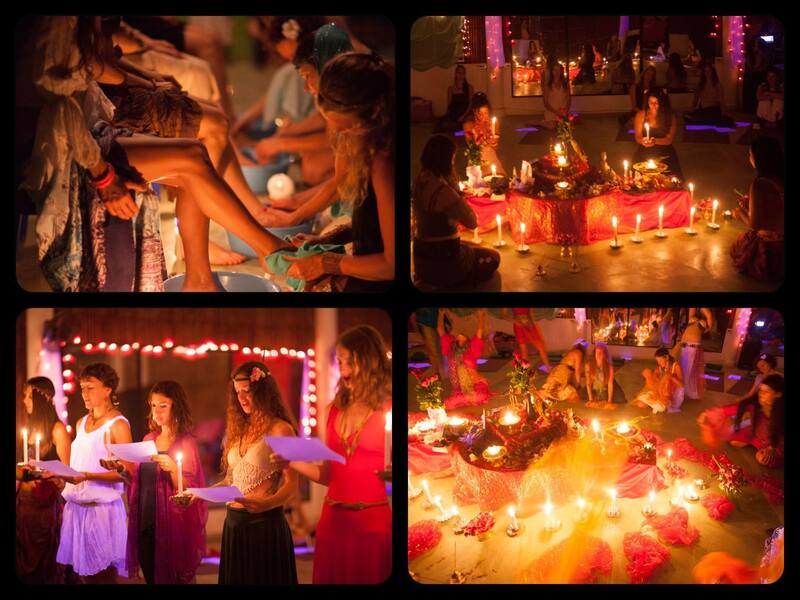 Some specific subtopics include sacred shapes and energy activation through movement, dancing with props including veils, and candles, executing a drum solo, fusion and classical belly dance (such as Bollywood belly dance, Egyptian cabaret and floor work), modern and classical temple dance, use of mudras and symbols (and the hidden energetics of the mudras), dancing through the senses, shamanism and dance (inner work leading to dancing the energy of the snakes, mermaids, angels, etc.) igniting and subliming the creative energy through dance, and much more! Participants will learn many preset dances, and also how to improvise and stage short routines. The course is designed for beginner- to intermediate-level dancers – no previous formal dance training is required although it is always helpful for teaching. Women with no experience finish with a fantastic foundation on which to continue their dance exploration, and both newcomers and more advanced dancers alike leave with a broader and deeper understanding of the complex facets of dance as a mystical art form. There will be a few formal performance opportunities as part of the training which is a highlight of the Mystical Dance® transformational process. In the course, we will explore aspects of performance methodology including: costuming, sacred ornamentation, themes, setting the mood, presence and expression, and publicly sharing Mystical Dance®. 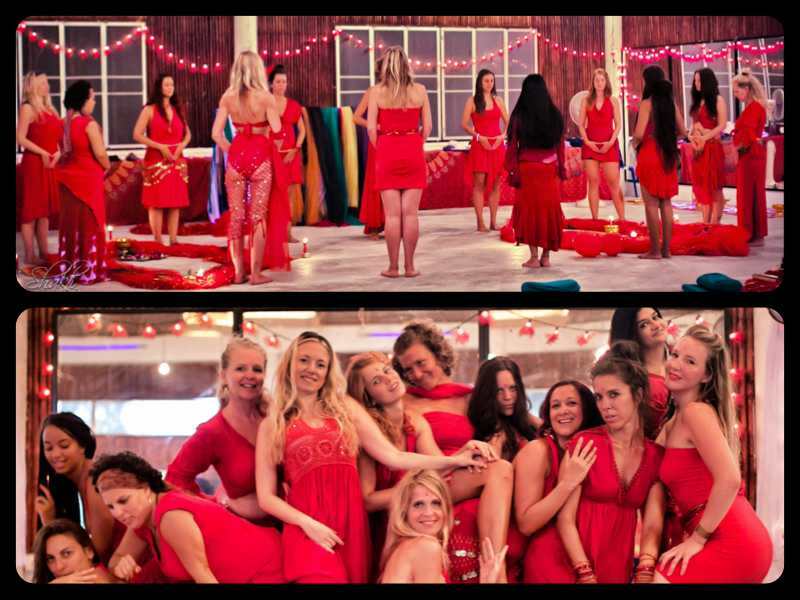 The dances are rehearsed – and as we view the event as an “offering” from the heart and move in a transfigured state of being – magically, everyone looks like a “goddess-come-to-life” on stage. 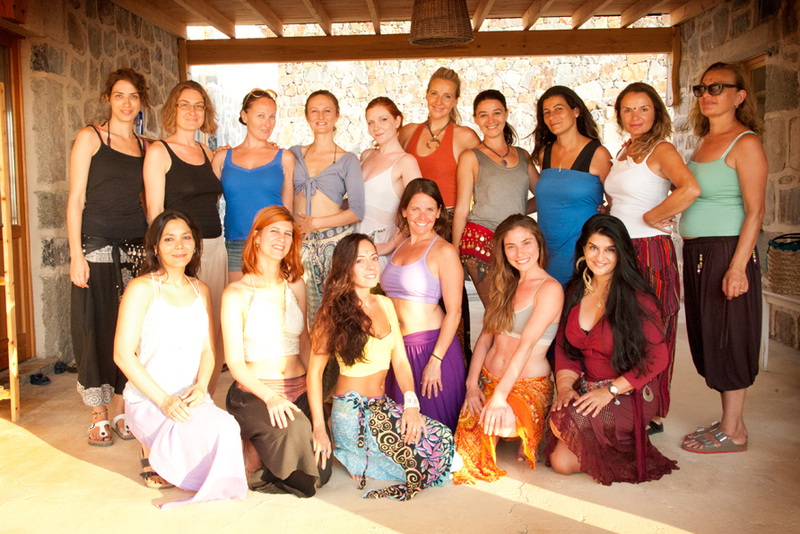 The results of past Mystical Dance® manifestations have been astonishing ... no one can believe how quickly the groups pick up the choreographies and improvised creations, and how stunning, unique, and radiant each woman appears. Experience the profound inspiration of dancing the Divine into existence! 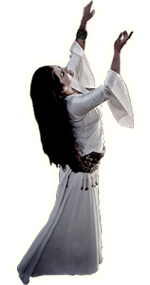 Monika is the creatrix of the Mystical Dance® and Shakti Spirit® teacher programs. She annually leads dance, Tantra, and Yoga workshops and intensive courses throughout Asia, Europe, North and South America, and has brought Mystical Dance® to 24 countries and thousands of women across the globe. In 1999, honoring the call of her soul, Monika left her life in New York City as a successful corporate executive by day and professional belly dancer by night, and set off for Asia on a 2.5 year quest for “Truth.” Everything shifted profoundly for her when she began studying yoga, meditation and tantra at the end of 2000, and there was no turning back. Monika completed a 42-month intensive program in 2006 and has continued to dedicate 18 years to the inner journey of discovering the mysteries of the Self. Monika is a Core Faculty member of the esteemed Omega Institute in Rhinebeck, NY (USA), where she teaches Mystical Dance® and Tantra. She has presented Mystical Dance® at other noteworthy centers including Master Mantak Chia's Tao Garden and the Sanctuary in Thailand, Osho Nisarga in India, the Four Winds in Chile and Karakaya Retreat in Turkey. In addition to weaving her experiences as a professional belly dancer and Yoga teacher within her work, Monika has studied and performed Gurdjieff Sacred Movements, Sufi whirling, and Odissi temple dance.